The Abkhaz were vassals of the Byzantine Empire when they became Christian under Justinian I (c. 550). In the 8th century the independent kingdom of Abkhazia was formed. Later a part of Georgia, it secured its independence in 1463 only to come under the rule of the Ottoman Empire in the 16th century. Islam subsequently replaced Christianity in parts of the region. In 1810 a treaty with Russia was signed acknowledging a protectorate. Russia annexed Abkhazia in 1864, and the Soviet authorities proclaimed its autonomy as a region in 1919 and raised it to the status of a republic in 1921. 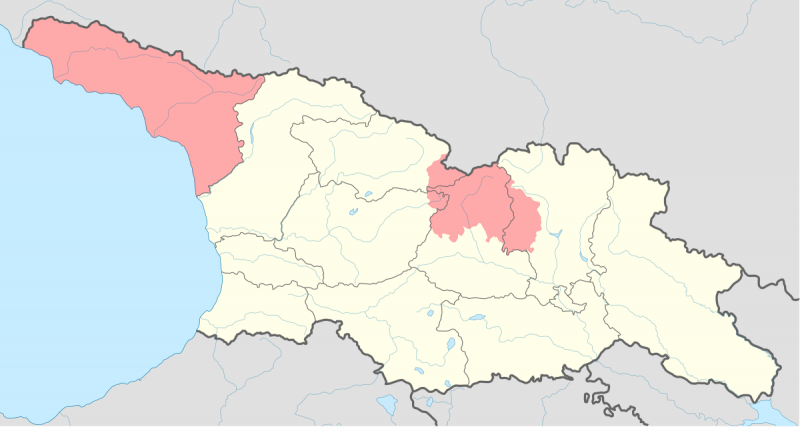 It became an autonomous republic within the Georgian republic in 1930, and it remained part of Georgia when the latter attained independence in 1991. In 1992, secessionists in Abkhazia staged an armed revolt against the Georgian central government in a bid to obtain Abkhazian independence. The rebels defeated Georgian forces and established control over Abkhazia in 1993, and in May 1994 a cease-fire was arranged. Despite the cease-fire and the subsequent deployment of a largely Russian peacekeeping force in the region, hostilities continued, and in 1999 the region formally declared its independence, a move that was not recognized by the international community. Abkhazia, also spelled Abkhaziya, autonomous republic in northwestern Georgia that formally declared independence in 1999. Only a few countries—most notably Russia, which maintains a military presence in Abkhazia—recognize its independence. Bordering the eastern shores of the Black Sea, Abkhazia consists of a narrow coastal lowland broken by mountain spurs, followed by a hilly foreland zone of eroded marine and river terraces that merge into the steep slopes of the Caucasus Mountains located to the north. Fully occupied after 1992 war!